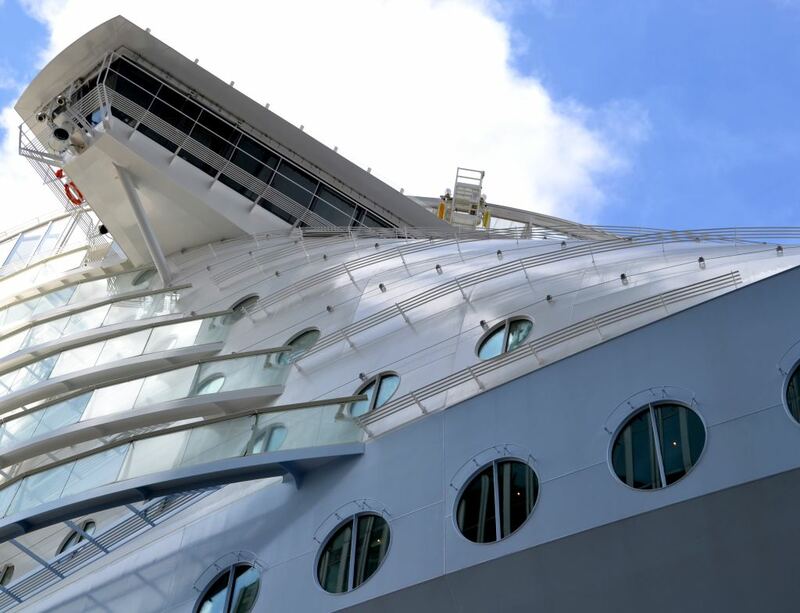 It has been about one year ago since we proudly presented our fall protection solution for the MS Harmony of the Seas®. At that moment the MS Harmony of the Seas was known as the world’s biggest cruise ship. Now it will be surpassed by its successor, for which we also installed our custom fall protection solution together with our French Partner Altivia. In June 2018, a brand new addition to the Royal Caribbean International fleet and the new biggest cruise ship in the world will make its maiden voyage: MS Symphony of the Seas℠. 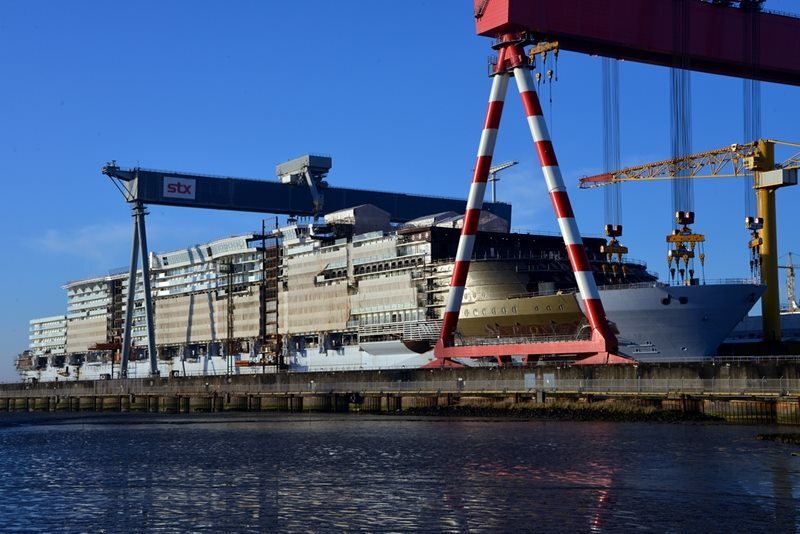 With its 230.000 gross tons, this cruise ship will be the largest ever constructed, surpassing the MS Harmony of the Seas by approximately 3.000 tons. MS Symphony of the Seas will be 362 meters (1.188 feet) long, 65,5 meters (215,5 feet ) wide and will be able to accommodate a total of 6.780 guests. 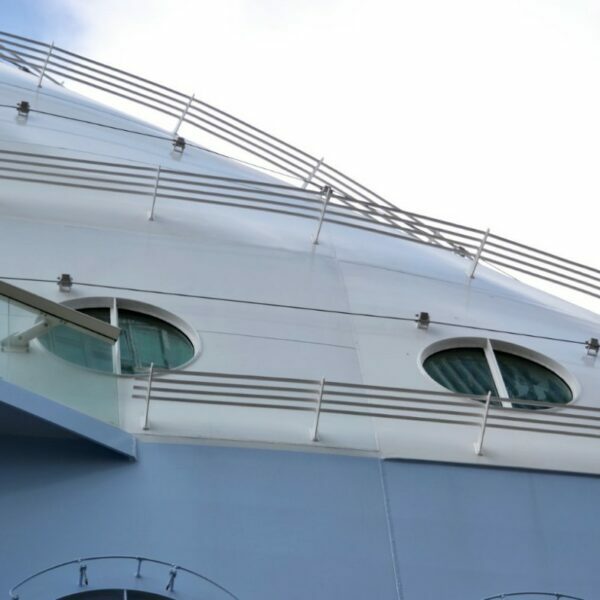 Before we go into detail about the solution we have provided for this new cruise ship, we want to address the risks of working at height on a large (cruise) ship. 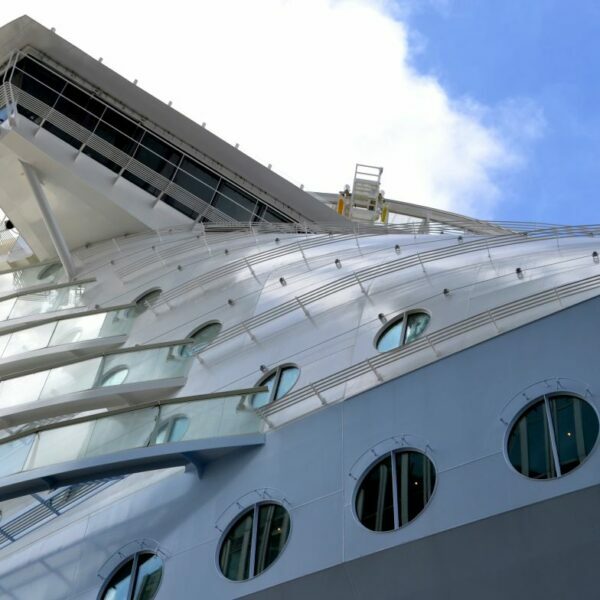 Just as the facades of buildings, the exterior of a ship needs to be maintained. Especially those of passenger ships, because passengers often look through windows to enjoy the views. And you don’t want passengers having to look through dirty, salt stained windows. Furthermore, chimneys, radars and other elements of a ship need inspection and repair work from time to time. In order to clean the full exterior of the ship or do inspection/repair work, a worker sometimes needs to climb to great heights. For example, the highest point of the MS Symphony of the Seas lies 70 meters (229 feet) above the water line. During these activities, workers are exposed to fall hazards and measures have to be taken. To facilitate a safe working environment on the exterior of the ship, fall protection needs to be installed. The exterior of a ship is very different than the facade of a building. It has lots of protruding elements, hard-to-reach areas, sloping areas and on top of that, no standard roofing surface to place facade access equipment on. These characteristics provide a challenge for accessing the entire exterior and creating safe working conditions when work needs to be done. Besides that, the conditions on a (cruise) ship are different than on dry land. While sailing the seas, salt water will intrude the materials and as a result, these wear faster. Therefore, metals need a special treatment to protect them against the effects of the salt water. Personal fall protection is one of the possible solutions to ensure the safety of workers on a (cruise) ship. 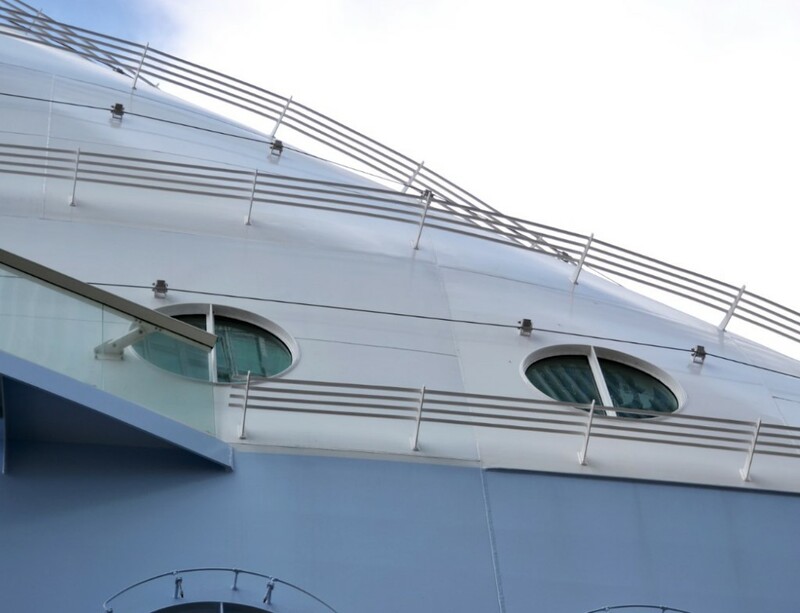 In case of the MS Harmony of the Seas and the MS Symphony of the Seas, XSPlatforms fall protection is installed at seven different areas of the ship, including the wheelhouse, the radar mast, the chimneys and the rear side. For these projects, we have made a custom solution to fit the demands and challenges of the cruise ships’ exterior, based on the existing Horizontal Lifeline System: for each ship, 273 custom brackets were designed and the XSDynamic energy absorber underwent a special epoxy treatment and was packed in a special sleeve, needed to minimize the intrusion of salt water. In total, 22 lifelines are installed on wall- and overhead-systems with a combined length of almost a kilometer. For XSPlatforms, providing fall protection is not limited to general construction or maintenance work on buildings. As proven with the projects described above, we want to facilitate safe working at height wherever needed. This means that innovative custom solutions need to be developed from time to time. Do you want more information about this custom solution for (cruise) ships? Download the project fact sheet to see all specifications.